Any good bicycle shop has a good workshop behind it, we have one of the best. 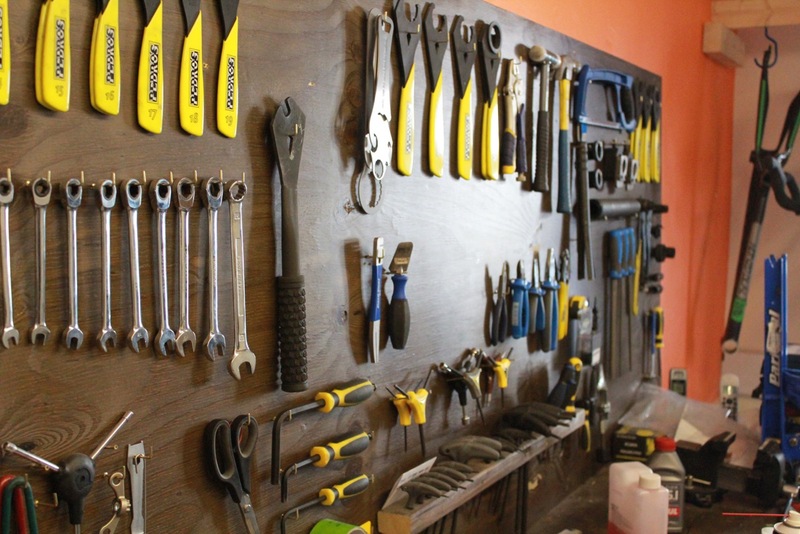 The workshop here is fully equipped with specialist tools, our mechanic has many years of hard earned experience and is one of the best in the business. We’re able to service pretty much anything bike related that you can bring to us, from doing a simple puncture repair to bleeding all types of disc brake. We have a number of servicing options available for whatever type of bicycle you may have, including complete bike rebuilds or assembling new bikes. This is only a sample of some of the most common servicing work we complete. For any work not listed please give us a call or pop in with the bike and we can let you know how much it is going to cost. To book a repair pop in or call the shop and we will fit you into the next available space. Once you deliver your bicycle to us, we will give you an estimate at the time of drop off, if we subsequently discover it requires further work, we will contact you before carrying on.